10% tax on all resort purchases. 10% service fee is applicable to all resort purchases. The Landings Resort and Spa, makes it a priority to give back to our community in any way we can. Please join us in supporting Grow Well, an on-island youth charity organization that protects the futures of St. Lucia's children by providing educational programs and services. The Landings Resort and Spa accepts the following credit cards: American Express, Visa, MasterCard, Discover. We are unable to accept checks. Check-in begins at 4 p.m., and checkout is prior to 11 a.m. For late check-out availability, check with the front desk on the morning of your departure. The Landings Resort and Spa is family friendly resort. The Landings Resort and Spa welcomes all service animals but is unable to accommodate other pets at the resort. The Landings Resort and Spa is pleased to offer a smoke free resort experience. Smoking is permitted in designated areas only. To take the stress out of planning a holiday during the Caribbean hurricane season (June-November), The Landings Resort and Spa by Elegant Hotels Group has prepared a number of potential scenarios below to offer guests answers for questions related to severe weather events. While the chance of one of our properties getting a direct hit by a hurricane is small, we find it is best to be prepared. Our hotels offer guests an unforgettable luxury Caribbean experience and a straightforward guide should Mother Nature interrupt your holiday. How will I know if my hotel is affected? 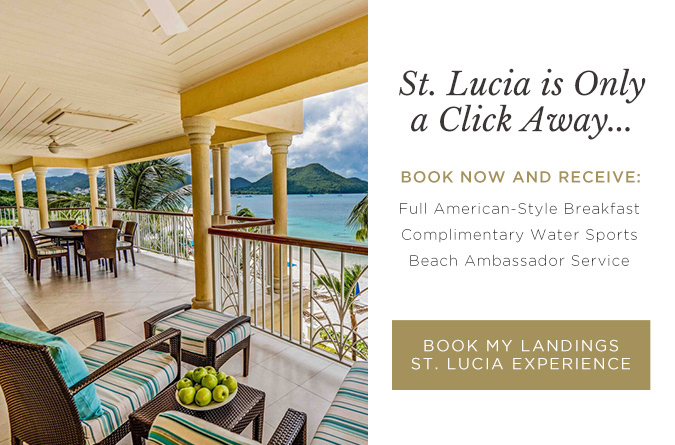 In the event of an imminent hurricane, The Landings Resort and Spa by Elegant Hotels Group will issue advisories posted on our News and Press webpage (www.landingsstlucia.com/press ) of the travel dates covered by the Hurricane Policy. What happens if I wish to cancel a week before I arrive? Our summer (April-November) travel cancellation policies allow individual guests who have booked directly with the hotel (either by phone, email or through our website) to cancel up to 3 days prior to arrival without penalty. If you have booked through a third party or as a package, cancellation policies are subject to the carrier/tour operator/third party website. What happens if I cancel my reservation within 3 days of arrival? If the St. Lucia Meteorological Service issues a Hurricane Warning (windspeed >74mph) for the island, any deposits taken will be retained by the hotel though you may use these deposits towards the nightly accommodation rate of a future stay within 18 months from the cancellation date. If you were to rebook your stay prior to November 30th of the same year, the nightly rate of the original booking will be honored, subject to availability of the hotel and room type. If you were to rebook your stay past 1st December of the same year, the rate will be subject to rates and availability of the new dates. New dates must be rebooked within one month of cancellation. If no Hurricane Warning is issued but you still wish to cancel your individual reservation based on severe weather warnings or Tropical Storm Warnings within 3 days of arrival, any deposits taken will be retained by the hotel. Guests may use these deposits towards the nightly accommodation rate of a future stay travelling before November 30th of the same year. The nightly rate will be subject to current promotions and availability of the hotel/room type. New dates must be rebooked within one month of cancellation. What happens if my flight is cancelled due to storms somewhere else in the Caribbean but not on the island where I have a reservation? If your flight is cancelled or delayed due to tropical storms in the flight path, please call or email us as soon as you are notified. Often flights are delayed by a few days until the storm has passed. In this case, we will work with you to move your reservation dates forward so long as there is availability. If you need to shorten your reservation but you need to keep your original return flight home, we will allow you to cancel the unused nights. Please note any deposits taken are nonrefundable. For example: Your original reservation was for 1st August for 3 nights but your flight was cancelled due to storms in the Caribbean. You had paid a 50% deposit, charged 3 days prior to arrival. The airline was able to rebook the same flight for the next day. We will move your reservation ahead by 1 night to arrive 2nd August for 3 nights. Alternatively, if you still need to depart the island after a two-night stay, the deposit you paid will go towards the two night total. Third party bookings are subject to the carrier/tour operator/third-party policies. The Landings Resort and Spa by Elegant Hotels Group strongly advocates the purchase of Travel Insurance through a carrier of your choice in order to minimize any potential financial loss, as the company is under no legal obligation to offer any form of compensation related to any storm event. What if I am on the island when the storm hits? Our foremost goal is always the safety and wellbeing of our guests and employees. Each hotel has specific preparation protocols in place for weather emergencies. While in the resort, guests will receive communication from the management team including evacuation information if necessary. Rest assured, our teams are trained for these situations and will do their utmost to make the best of the situation. If a Hurricane Warning is issued while you are in-resort and you wish to depart prior to your original departure date, any unused nights can be cancelled without penalty. In the absence of a Hurricane Warning, any unused nights will be charged as penalty but maybe used towards the nightly accommodation rate of a future stay within 18 months of your early departure. The nightly rate will be subject to current promotions and availability of the hotel/room type. New dates must be rebooked within one month of cancellation. What if I my flight home is cancelled? If your flight cancels due to storm related delays, you may extend your stay at the same rate as the night of their original departure subject to availability of the hotel and room type. If the room type originally reserved is unavailable, we will do our best to offer you a comparable room category in the hotel without additional charges. If the hotel is sold out, we will work with you to find an alternate hotel on the island either at a similar rate or at a sister property on a different island. Guests are responsible for flight change charges from the airline. 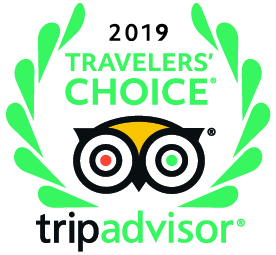 If you have booked through a third party or as a package, we will offer you the Best Available Rate for additional nights to be paid directly to the hotel or you may contact your tour operator to extend through them. What if there is an evacuation order? If an island-wide evacuation order is issued, all unused nights will be released without penalty. We will work with our neighboring islands to seek alternative accommodations for our guests. Incoming guests who elect to arrive despite the evacuation order in effect, do so with the implicit understanding that no compensation will be forthcoming for any disruption on services and/or inclusions which may occur as a result of the storm. What will happen if the hotel closes due to damage incurred by a hurricane? Stay at a comparable sister Elegant Hotels property with the same nightly rate and terms in the same region. Our Reservations team will reach out to you with the best available options. Please note guests are responsible for any additional airline charges. Change your reservation’s arrival date up to one year after the hotel is scheduled to reopen and receive the same nightly promotional rate and receive a complimentary upgrade to the next available room type or one night complimentary. Cancel your reservation without penalty.